We already know that there are Lot’s Of Website is on The Internet. In that The Some are The Genuine or Fraud. By Access The Fraud Website we are getting the virus,Trojan,Backdoor and other Malicious code in Computer. So The question is How to Secure Yourself by Access the Website from Virus on Internet. There are Lot’s Of Tools available on The Internet For Check the Website Genuine or not. in That We get the Owners Detail like Name,Address,Ph No.,Email and Website Server Location. See The Below Screen Shot of The Website So You get The Ideas about how to Check Website Information. This is The Screen Shot Of the Whois.Sc website Just Enter Your Domain name and Click Enter It Shows all the Information about any Website. This is Other Tool Like as Whois.sc same as above Just Enter Domain Name and Press Enter It will automatically display all information about website. This is The Screen Shot Of My Website Information. 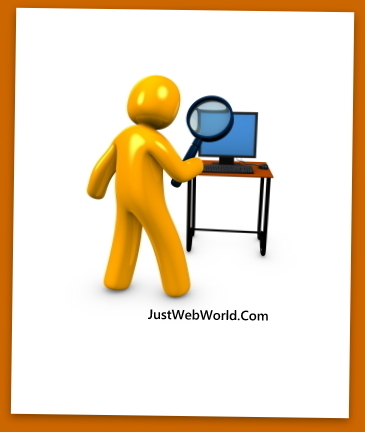 So In This Way You Can Find Any Information about Any Site and Check The Website Genuine or Not.